"Dear friends, we are asking for an outpouring of prayer for Asia and the situation in Pakistan. News media are reporting that Asia Bibi has left the location where she was held. The fact that this came out, is very dangerous for her. "According to media sources Asia is on her way to the Netherlands. However, other sources have confirmed she is still in Pakistan and not allowed to leave. "These developments require us to seek God and pray, particularly for Asia and her family. "There may be some sensitivities which prevent too much information being shared but it is of the utmost importance that we pray and seek her protection and that of those protecting her and seeking her freedom. "Do pray for the Christians in Pakistan. Protests in Pakistan are slowly resuming and we fear there maybe more violence on Friday, because in extremist mosques this will certainly be discussed. Friday protests have already been called. It's possible Christians will be targeted." For protection and comfort for our brothers and sisters in Pakistan, and that they will not face added pressure and violence because of this case. 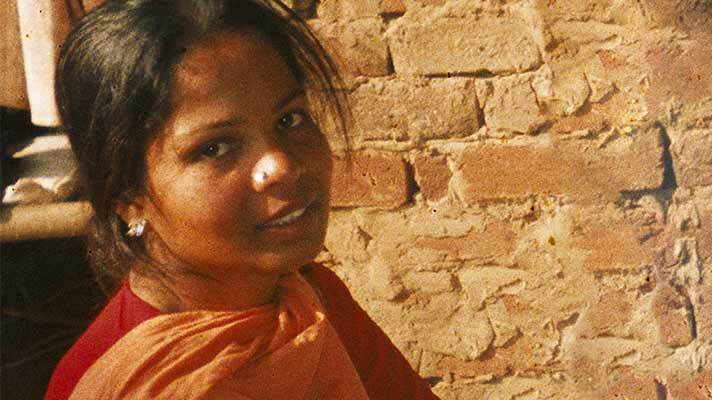 Open Doors has asked the UK Government to use its influence to ensure Asia Bibi’s safety. Zoe Smith, Head of Advocacy for Open Doors UK and Ireland, says, “The news that Asia is free is a major step forward. Some have reported that she is out of the country but we have just heard from a reliable source that she is still in Pakistan. What is clear is that she is still in danger. "Asia has suffered for too many years for a crime she did not commit. She has been declared innocent by the highest court in Pakistan and deserves to rebuild her life. Since news broke about the impending judicial review we have been urging the UK government to ensure her safe passage to another country, where she can be united with her family. "The blasphemy laws in Pakistan are often used corruptly to allow persecution with impunity and to silence witnesses to crimes. Asia’s case and the violence surrounding it symbolises the extremes of opinion on these laws. "Many people think that introducing an additional clause to the blasphemy laws laying out penalties for false accusations for corrupt purposes would be a way forward to end the current widespread abuse.